Abstract. Using the methods of critical discourse analysis, this article analyzes the TV program Mission: Vilnija as an example designed to fight stereotypes about Lithuanian national minorities. The article shows how instead of improving inter-group relations, the program helps to ensure the status quo of unequal intergroup relations between the Lithuanian majority and the country’s national minorities. The case analysis supports the argument that if the idea of parasocial contact and prejudice reduction is built upon non-reflected, biased premises, it will not eliminate these forms of prejudice but will only preserve and/or reinforce them. Keywords: contact theory, parasocial contact, prejudice, national minority. This article discusses the Allportian idea of contact theory. It touches up one of its variations – parasocial contact theory – and addresses he problem of the potential misuse of this theory. The argument is made that if this way of reducing prejudice is in itself biased, the outcome of such contact, then, can be contrary than expected. To support the argument, this study uses an example of a TV program called Mission: Vilnija, broadcasted by the Lithuanian national television and originally designed to fight stereotypes about the national minorities living in the state’s southeastern part, historically known as the “Vilnija region” (Lith. Vilniaus kraštas, Pol. Wilenszczyzna). By using one episode of this program dedicated to the topic of national minorities serving in the Lithuanian armed forces, this article attempts to show how parasocial contact can be biased and thus unable to reduce prejudice.  [A] problem-orientated interdisciplinary research program, subsuming a variety of approaches, each with different theoretical models, research methods, and agendas. What unites all approaches is a shared interest in the semiotic dimensions of power, injustice, and political-economic, social, or cultural change in society. […] CDA studies […] social phenomena which are necessarily complex and thus require a multi/inter/transdisciplinary and multimethodological approach (Wodak 2014, p. 302). The article contributes to the existing literature on how minorities and their issues are represented in Lithuanian (speaking) media (Frėjutė-Rakauskienė 2016; 2009; Petrušauskaitė et al. 2015). It starts by presenting the (parasocial) contact theory. Subsequently, the main features of the method of critical discourse analysis are outlined; finally, this study analyzes a particular episode of the TV program. Prejudice (unless deeply rooted in the character structure of the individual) may be reduced by equal status contact between majority and minority groups in the pursuit of common goals. The effect is greatly enhanced if this contact is sanctioned by institutional supports (i.e., by law, custom or local atmosphere), and provided it is of a sort that leads to the perception of common interests and common humanity between members of the two groups (1954, p. 281). In 2008, Petigrew and Tropp published a meta-analysis of 515 studies on the impact inter-group contact has on reducing prejudice. These studies were conducted during the period between the 1940s and 2000 and contained responses from 250 593 individuals across 38 nations. The result of this meta-analysis generally supported the intergroup contact hypothesis and established that the contact between individual members of different groups leads to reduced prejudice toward the entire out-group. The authors also found that the relationship between contact and prejudice varies significantly depending on the specific groups involved. Intergroup contact was most successful in cases of contact between heterosexuals and gay individuals, while the effect in cases of racial and ethnic group contact was less successful. Studies also showed that the least effective was contact of groups of different age as well as between groups with and without mental disability (Pettigrew & Tropp 2008, p. 267–268). The conditions for an effective direct intergroup contact, described by Allport, are hard to meet, which makes this theory hard to apply in practice. However, prejudice can be reduced through various forms of indirect or parasocial contacts, i.e., extended contact, when one learns that an in-group member is friends with an out-group member; vicarious contact, through observing how an in-group member interacts with a member of an out-group; through an imagined contact, when one imagines an interaction with an out-group member (Dovidio, Eller & Hewstone 2011, p. 148). Not only indirect contact can have a positive effect on intergroup attitudes, but, as argued by Eller, Dovidio and Hewstone (2011, p. 155), it can also have broader effects, for example, reducing intergroup threat or increasing intergroup understanding and trust. [I]t is limited because beneficial effects would require strong and positive emotional bonds with out-group characters, the kind resulting from repeated exposures. Many people probably have feelings about television characters, but only with a relatively few television characters do viewers form deep bonds (i.e. parasocial relationships). Further precisely because of pre-existing prejudice, in-group viewers would be unlikely to perceive an out-group television character as highly familiar, likeable, and similar to him or herself (2010, p. 249). Thus, although parasocial contact, if compared to direct contact, is of larger exposure, there are some reasonable doubts about the sustainability of the effect that it creates. Before starting to discuss the case of the TV program shown on the Lithuanian national television and designed to fight stereotypes about the state’s national minorities, the main methodological tools for doing discourse analysis are briefly presented. Later, the case of the parasocial contact, intended through the TV program, is presented and contextualized; the discourse analysis is conducted afterward. In her work on the discursive construction of Austrian national identity, Ruth Wodak (2009) proposed to conduct critical discourse analyses (CDA) by dividing them into three dimensions. The first dimension refers to the contents of the linguistic construction of a common political present and future. The second one deals with strategies, i.e., constructive strategies attempting “to construct and establish a certain national identity by promoting unification and solidarity as well as differentiation” (Wodak 2009, p. 33). The final dimension is that of means of realization – “lexical units and syntactic devices, which serve to construct unification, unity, sameness, differentiation, uniqueness, origin, continuity, gradual or abrupt change, autonomy, heteronomy and so on” (Wodak 2009, p. 35). Among the most important of such means is that of a personal reference, including anthroponymic generic terms, personal pronouns and quantifiers (determiners or pronouns indicative of quantity (e.g., all, both)). The plural personal pronoun “we” is a particularly interesting discursive mean. Used metonymically (when one word or phrase is substituted for another with which it is closely associated, i.e., as in the use of “Washington” for the United States government), it can indicate sameness. As noted by Wodak, (2009, p. 47) it can refer to the national territory conceived as a particular country’s “we-body” or “national-body” and the number of the country’s inhabitants. As Volmert argues, “[a] speaker has at his/her disposal a whole range of (clever) options with which to present the interests and affairs of ‘we-groups’ in the public sphere. In a speech during an election campaign, for example, a speaker can unite himself and his audience into a single ‘community sharing a common destiny’ by letting fall into oblivion all differences in origin, confession, class and lifestyle with a simple ‘we’ (for example, a ‘we Germans’). This ‘community sharing a common destiny’ may be bound by different degrees of intimacy and familiarity: from the common economic interests of ‘society as a whole’ to the emotional needs of a family-type community (Volmert 1989, p. 123 in Vodak 2009, p. 45). One of many possible constructive strategies is unification and cohesivation – “emphasis on unifying common features/shared sorrow or worries (for example, at a subnational or national level) or emphasis on the will to unify/co-operate/feel and show solidarity. In case of a such strategy, means can vary from using lexemes with semantic components creating unification to making appeals for co-operation, pulling together and solidarity or suing idiomatic metaphors (i.e. ‘we act all in concert’)” (Wodak 2009, p. 38). This article focuses mostly on the third dimensions of CDA as described by Wodak, in order to analyze the means of the realization of an idea to construct a cohesive national “we,” as it was attempted to be achieved through the supposedly unbiased media representations of the members of Lithuanian minorities. To sum, the rhetoric in which the state’s president started to appeal to Lithuania’s national minorities more often illustrates an increase of the preoccupation about the minorities’ loyalty to the state as well as the need to do something for this loyalty to be ensured. The President’s communication of national unity represents an attempt of the linguistic construction of political commonness. The question, then, is how this was attempted in the first place? In other words, the program was designed to counter Russian propaganda, and to ensure that the Lithuanian minorities, who receive information mostly from Russian TV channels,9 would get the “correct” news and would not be left misinformed. The idea of parasocial contact, in which the program would serve as a mirror allowing different people(s) to identify with each other through being exposed to shared problems, marks the aim of improving the relations of different ethnic groups in Lithuania and by doing so to construct unified national community. The minorities, primarily the Poles – the biggest national minority in the Vilnius region – would be given a voice on the national television (the majority of the TV program’s crew are Polish journalists), while Lithuanians would be exposed, through indirect contact, to the everyday lives of Poles, depicted as co-citizens in the program. 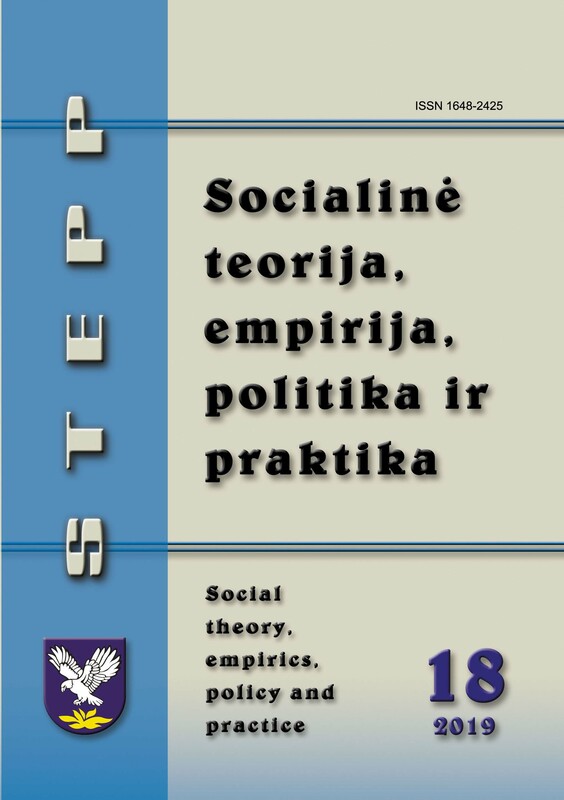 Due to the lack of space, this section analyzes only a few parts of Episode 11 from the TV program Mission: Vilnija.10 This episode was chosen because, unlike other episodes, it was focused on the question of security and its various forms – social, military and that of minority rights. This section focuses on the means of realizing the strategy for building a more cohesive national community, by integrating minorities into the common information field of the country. Two aspects are analyzed here: the ways discourse is framed and the linguistic means the discourse is practiced through. In the episode analyzed here, the narrator presents the characters of the program – Lithuanian conscripts of Polish origin – by saying a few words about them. Afterward, the conscripts’ remarks follow. This section shows biases in the way Polish conscripts are presented. Second, it focuses on how the personal plural pronoun “we” is used by the TV program’s crew and by the conscripts and shows how “we” does not mean the same in each of the two cases. The journalist interviewing these “unusual soldiers” attempted to deny the myth that it can be harder to integrate in the armed forces for those soldiers who do not speak Lithuanian at home. However, another interviewed volunteer Andrej, presumably of Russian origin, states that the process of habituation was not hard for him, as he had been speaking Lithuanian both at home and at school. Therefore, there are few moments worth being taken into consideration here. The show’s host, who is a Lithuanian Pole herself, thinks the minority soldiers to be a somewhat unusual phenomenon. Second, although the aim of depicting these soldiers is to eliminate the stereotype of the soldiers possibly having troubles with the Lithuanian language while serving in the military, it is not really clear what made the authors of the program think there is such a stereotype at all. In other words, the idea of the elimination of such stereotype was in itself biased, because the existence of the stereotype was assumed. The case of Andrej, who had been speaking Lithuanian at home and probably knows the language quite well, not so much refutes the assumed stereotype of soldiers not speaking Lithuanian as he brings doubt whether the question about such a stereotype is relevant at all. Here we can see the appearance of the “our homeland” trope. The topic of the “unusual soldiers” is concluded by talking to the last protagonist, Marek – a young Lithuanian of Polish origin playing in an ethnically diverse, popular Vilnius-based ska-punk band Will’N’ska. To the viewers, he is presented as a volunteer. The journalist introduces Marek as a person who takes the oath to serve in the armed forces seriously: “[Marek] says that, being aware of how important it is, he has no doubts about it, although we all know how serious Lithuania’s geopolitical situation is, and that a soldier may need to act at any moment.”16 After the journalist finishes and tells us something we all know – the country’s serious geopolitical situation – the viewers are prepared to meet the volunteer, and Marek’s comment is tabled: “I feel ready, to tell the truth, I am waiting for this day, because it will probably be the first oath of such importance in my life. Because after yesterday’s meeting with the captain, the conclusion is that this oath is among the most important ones, because you give yourself, your life, because you swear to protect your motherland – Lithuania.”17 Hereby, the episode’s rubric, dedicated to these so-called unusual soldiers, reaches its culmination point. But the most striking feature of this strategy to build closer ties between the state’s dominant and minority ethnic groups through mediated contact is the language spoken in this TV program. The parasocial contact is intended through and conducted in the Lithuanian language. The “we” constituting “our Lithuania” speak Lithuanian. No subtitles are used, and thus even the Poles – both the journalist making the program and the program’s guests – speak Lithuanian. This is surprising not because Poles or Russians allegedly do not understand or do not speak the language. In fact, although Lithuanian differs significantly from Russian or Polish, both minorities speak Lithuanian quite well. It is surprising because the program was started with an aim to divert these minorities from the Russian information sphere. Therefore, one could have possibly thought that such a program should have been broadcasted in one of the minority languages. However, apparently this was not the case. These means of realization – the showing of “unusual soldiers” (although they are quite usual in the Lithuanian army), the aim to refute stereotypes about minorities, not speaking in Lithuanian (though there’s no reason to doubt their knowledge of the Lithuanian language), and, finally, the topics discussed about “our homeland,” but talking about it solely in Lithuanian – suggest that the real mission of Mission: Vilnija was to integrate the minorities without changing the status quo of the intergroup relations among the state’s dominant and minority ethnic groups. The security interest underlying these aims and the ways of realizing them explains this paradox of integrating but keeping minorities on unequal level with the national “we.” There is inherent bias in this intended contact, and the reason why these soldiers are seen as unusual is that they are seen as a possible threat to national security. The program tries to depict the soldiers, as well as the national minorities in general, as normal, co-operative citizens, as a part of a unifying, national “we,” as defined by Wodak. However, simple nationalistic fears sometimes become visible through the repeatedly pronounced beliefs that everything is good with “our” minorities, and this repetition then signals the actual anxiety regarding the “normality” of these citizens. This article analyzed an attempt to reduce prejudice against Lithuanian national minorities with the help of parasocial contact. Changes in international security environment, brought about by Russia’s annexing of Crimea in 2014, lead to an increase in concerns about the minorities’ loyalty to the Lithuanian state. Therefore, a special TV program, titled Mission: Vilnija, was created for Lithuanian minorities living in the southeastern part of the country. However, the close examination of the means of realization of this attempt to apply parasocial contact showed that the attempted reduction of prejudice was biased, as of the TV program’s implicit aim was to construct a homogeneous, national “we.” Therefore, the program’s success in reducing prejudice about minorities remains highly doubtful, because it exposed the minorities to prejudices which these minorities did not necessarily hold about themselves (i.e., that the minorities are disloyal to the state). Moreover, it could be argued that instead of improving inter-group relations, the programme helped to ensure the status quo of unequal intergroup relations between the dominant Lithuanian majority and the national minorities (although the TV program was dedicated to the minorities, it was lead in the Lithuanian language). To sum up, the program was biased because, as the content of the program has revealed, the minorities were treated as a priori disloyal to the state. Hence, if the idea of parasocial contact and prejudice reduction is built upon non-reflected, biased premises, it will do little to eliminate these prejudice and instead will only help to preserve and reproduce them further. Allport, G.W., 1954. The nature of prejudice. Addison-Wesley Publishing Company, Cambridge, Mass. Frėjutė-Rakauskienė, M., 2016. Lenkų etninės grupės reprezentacija Lietuvos spaudoje lietuvių kalba, in: Etniškumas ir identitetai Pietryčių Lietuvoje: raiška, veiksniai ir kontekstai. Lietuvos socialinių tyrimų centras Vilnius, p. 47–60. Frėjutė-Rakauskienė, M., 2009. Etninis nepakantumas Lietuvos spaudoje. Etniškumo Stud. 1. Petrušauskaitė, V., Šliavaitė, K., Frėjutė-Rakauskienė, M., 2015. Lietuvoje gyvenančių tautinėms mažumoms priklausančių asmenų padėties tyrimas. Žiniasklaidoje vyraujančios tematikos apie tautines grupes 2014–2015 m. apžvalga. Lietuvos socialinių tyrimų centras. Pettigrew, T.F., Tropp, L.R., 2008. Allport’s Intergroup Contact Hypothesis: Its History and Influence, in: On the Nature of Prejudice: Fifty Years after Allport. Blackwell Publishing Ltd, pp. 262–277. Volmert, J., 1989. Politikerrede als kommunikatives Handlungsspiel: Ein integriertes Modell zur semantisch-pragmatischen Beschreibung offentlicher Rede. W. Fink. Wodak, R., 2014. Critical Discourse Analysis, in: Leung, C., Street, B.V. (Eds. ), The Routledge Handbook of English Studies. Routledge, Taylor & Francis Group, London; New York, pp. 302–316. Wodak, R., 2009. The discursive construction of national identity. Edinburgh University Press. 1	“Address by President of the Russian Federation” (March 18, 2014), kremlin.ru. Accessed September 26, 2018, http://en.kremlin.ru/events/president/news/20603. 2	In its annual reports on threats to national security, published in 2014 and 2015, The State Security Department mentioned links between pro-Russian and Lithuanian Polish politicians as well as Russia’s attempts to manipulate Lithuanian Poles in order to spread its influence in the country and to prevent closer ties between Poland and Lithuania. More information: “2014 report on threats to national security,” accessed September 26, 2018, https://www.vsd.lt/wp-content/uploads/2016/10/Gresmiu-vertinimas-2014.pdf and “2015 report on threats to national security”, accessed September 26, 2018, https://www.vsd.lt/wp-content/uploads/2017/03/bendras-2015-gresmiu-vertinimas.pdf. 3	“D. Grybauskaitė: „Aš vienodai myliu visus Lietuvos žmones“,” accessed December 13, 2015, http://lietuvosdiena.lrytas.lt/aktualijos/d-grybauskaite-as-vienodai-myliu-visus-lietuvos-zmones.htm. 4	“Prezidentė Šalčininkuose lankėsi šaulių stovykloje,” Kauno diena, accessed December 13, 2015, http://kauno.diena.lt/naujienos/lietuva/politika/prezidente-salcininkuose-lankesi-sauliu-stovykloje-705235. 6	“Apklausa: Lietuvos tautinės mažumos apie įvykius Ukrainoje sužino iš Rusijos,” lrt.lt, accessed September 27, 2018, https://www.lrt.lt/naujienos/lietuvoje/2/88819/apklausa-lietuvos-tautines-mazumos-apie-ivykius-ukrainoje-suzino-is-rusijos; “Russian Propaganda Creates ‘Parallel Reality’ for Lithuania’s Ethnic Minorities,” DELFI, accessed December 13, 2015, http://en.delfi.lt/lithuania/society/russian-propaganda-creates-parallel-reality-for-lithuanias-ethnic-minorities.d?id=69823932. 7	“K. Zvonkuvienė: „Ieškokime to, kas mus vienija, o ne skiria”, lrytas.lt, accessed September 27, 2018, https://zmones.lrytas.lt/tv-antena/2015/08/18/news/k-zvonkuviene-ieskokime-to-kas-mus-vienija-o-ne-skiria—826963/. 9	“Większość Osób Mniejszości Narodowych O Ukrainie Dowiaduje Się Z Rosyjskiej Telewizji,” [“Most of the People of Ethnic Minorities Find Out about Ukraine from Russian Television], DELFI, accessed December 17, 2015, http://pl.delfi.lt/aktualia/litwa/wiekszosc-osob-mniejszosci-narodowych-o-ukrainie-dowiaduje-sie-z-rosyjskiej-telewizji.d?id=66838524. 11	Here and elsewhere the names of the interlocutors have been changed. 12	Misija: Vilnija (Episode 11).